Are you remember the past where Tales of Phantasia hit your days with its epic RPG story? 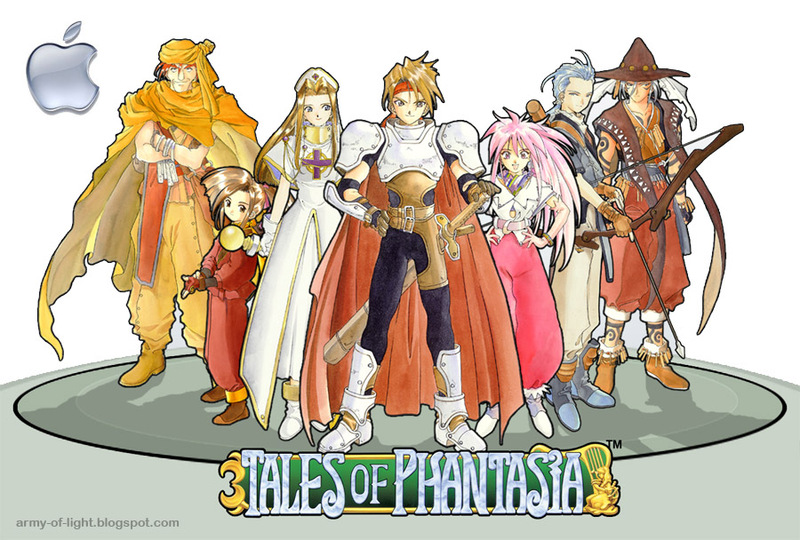 Now after almost 18 years, Tales of Phantasia is back again in your iPhone. Of course this mean you'll no need for purchasing PSP for Tales of Phantasia latest port, because as reported, this new iOS version will based on PSP port. The detail is as follow as reported by Gematsu. Pricing: Chapter 1 is free, Chapters 2 to 12 are 170 yen each. The full package costs 1,700 yen. Tales of Bibliotheca is a scenario collection app that lets you experience Tales series stories. Chapter 1 is Tales of Vesperia. Each chapter contains a summary, scenarios from famous scenes, newly drawn illustrations, and original battles. Voices from the original scenes will remain unchanged. There’s also a mode where you can collect your favorite voices. The game will be playable at the Tokyo Game Show next week. Let's hope all the best for these.